Company official Indian warranty valid/Remaining Warranty period: No. 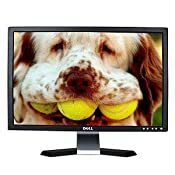 Reason for Sale: Selling on behalf of an acquaintance who upgraded to a Dell 24 inch monitor. Accessories Included: Power cable & Vga cable. Check pics. Preferred Courier: Not going to ship this. Local pick-up only. P.s. Monitor does not have a hdmi port. Only dvi, vga. This is a 16:10 ratio monitor. Please do not waste time by low-balling. Interested parties can drop a pm and pick up monitor at their convenience. Last edited by darthyakuu; 07-10-13 at 02:01 PM. Sold on another forum. Closing thread. Thanks to all for viewing and not low-balling.